Are you looking for a pressure washer that won’t increase your carbon footprint? Do you want a pressure washer that is strong enough to clean and remove stains, but won’t damage your property if you get too close? The Sun Joe SPX3000 offers 2030 PSI of washing power that will help you get the job done right the first time around. Keep the wand close with the included holder and you’ll be able to take this pressure washer anywhere! It’s also got a great price: just $169 right now on Amazon. What Are the Features of the Sun Joe SPX3000? 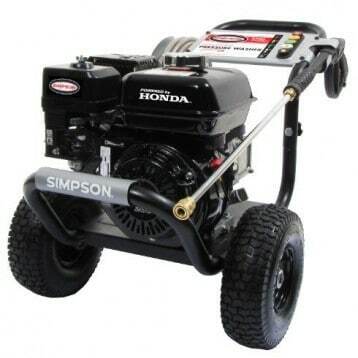 What stands out about this pressure washer is its 14.5 Amp, 1800 watt motor. 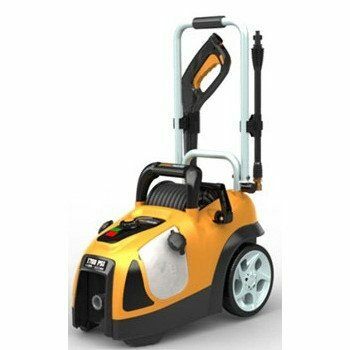 There are some portable pressure washers that offer lightweight portability, but they just don’t have the strength to really clean well. That’s not the case with the Sun Joe SPX3000! 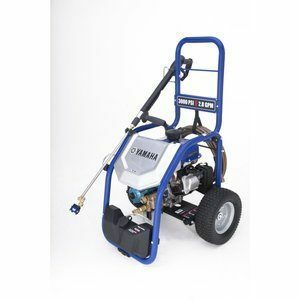 Take it out to your deck, clean off the walkway stones in your garden, or clean up the mysterious driveway stains in just minutes thanks to the power of this pressure washer. Here are some additional features that may also be of some benefit to certain users of the Sun Joe SPX3000. It carries two separate detergent tanks so that you can clean with different soaps and both tanks are easy to remove and clean out. A simple system of detergent control allows you to quickly switch between the detergent tanks without having to stop washing. 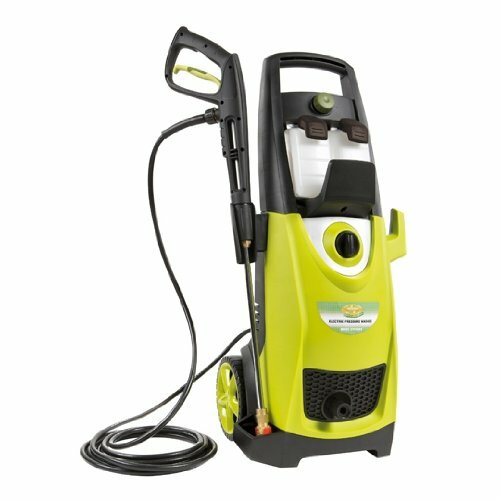 There is a 35 foot power cord for this pressure washer and you’ll receive a 20 foot spray hose for added flexibility. Be careful when using the Sun Joe SPX3000 with an extension cord. We’ve found that certain extension cords, especially the cheaper ones, tend to reduce the amount of amps that come into the pressure washer. This affects its performance and your high pressure wash may end up becoming a low pressure stream. Why Choose the Sun Joe SPX3000 Today? We really loved the fact that this pressure washer comes with everything that you need to get started cleaning right away. There are 5 quick spray nozzles included with the Sun Joe SPX3000 and swapping them in and out of the 34 inch spray wand takes just seconds. 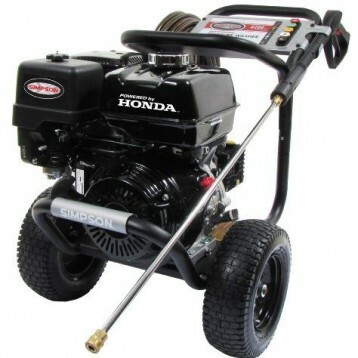 This pressure washer is also covered by a full 2 year warranty, so there is some investment protection available. Because of the amount of amps that this pressure washer can command, older homes may not be suitable for this particular model. 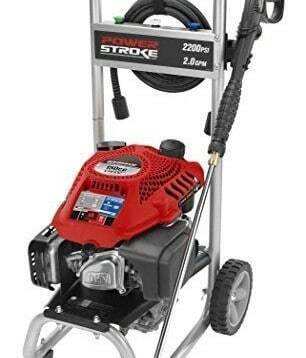 It draws enough power that 60 amp homes simply can’t run the pressure washer and home appliances at the same time. 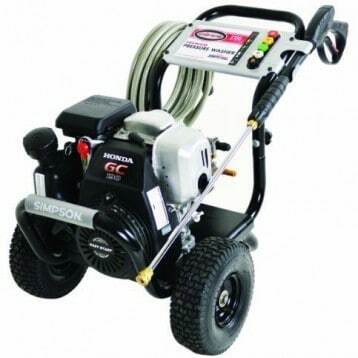 If you find that your GFCI trips a lot, you may wish to consider a low cost gas power pressure washer instead. For most home owners, however, the Sun Joe SPX3000 offers the electrical flexibility that is wanted without compromising on the quality of the wash. That’s why it receives our recommendation as one of the best pressure washers available on the market today. Click here to view pricing on Amazon and find an awesome deal on the Sun Joe SPX3000.